"The location, the food, the rooms were all we expected and m..."
Have a question for Pingyao Yide Hotel? "The rooms are comfortable with enormous beds." "The staff were friendly and very helpful especially Ju Li." "Pros: staff (speaking english) very helpful, skillfull, with..."
Whether you're a tourist or traveling on business, Pingyao Yide Hotel is a great choice for accommodation when visiting Jinzhong. The hotel lies 0.5 km from the city center and provides accessibility to important town facilities. With its convenient location, the hotel offers easy access to the city's must-see destinations. 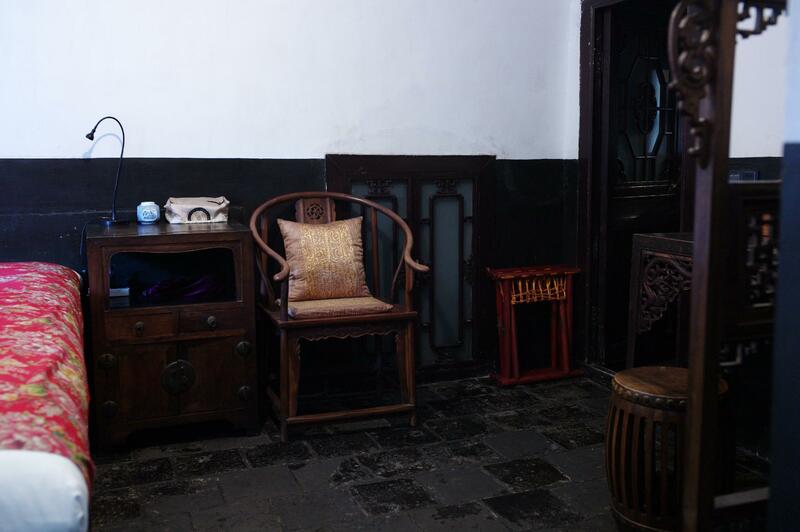 At Pingyao Yide Hotel, every effort is made to make guests feel comfortable. To do so, the hotel provides the best in services and amenities. A selection of top-class facilities such as 24-hour room service, free Wi-Fi in all rooms, 24-hour front desk, express check-in/check-out, luggage storage can be enjoyed at the hotel. The hotel features 26 beautifully appointed guest rooms, many of which include television LCD/plasma screen, internet access – wireless, internet access – wireless (complimentary), non smoking rooms, air conditioning. Besides, the hotel's host of recreational offerings ensures you have plenty to do during your stay. 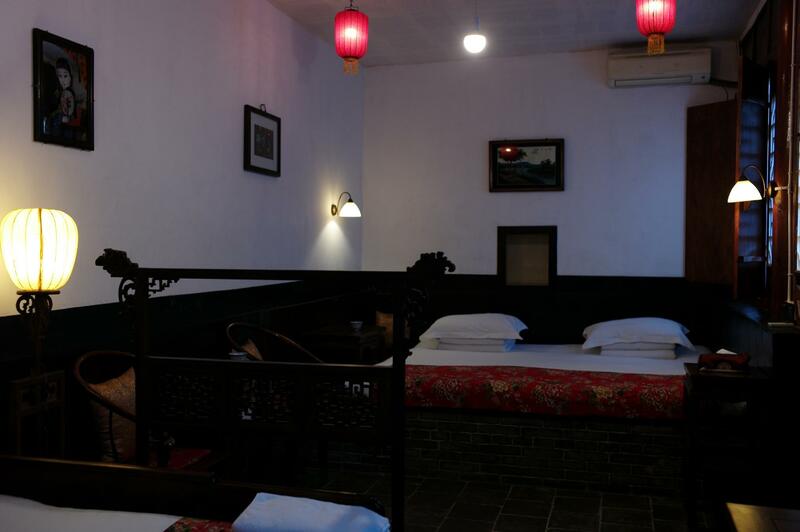 Pingyao Yide Hotel is your one-stop destination for quality hotel accommodations in Jinzhong. "Nice location, great staff very helpful, pretty good restaur..."
More than 350years old building. It has been beautifully converted. Not the standard black and red buildings like other hotels in town. They retained so many original features. During my stay, the staff were friendly and food were good. The location is slightly out from main street, but still located inside the walled town. I personally preferred this as away from noisy traffics. Go for Room 26 which is deluxe at roof top. The hotel is absolutely stunning - it really is like stepping back into ancient China. We were given a free upgrade as my husband was a little too tall for the regular bedding. 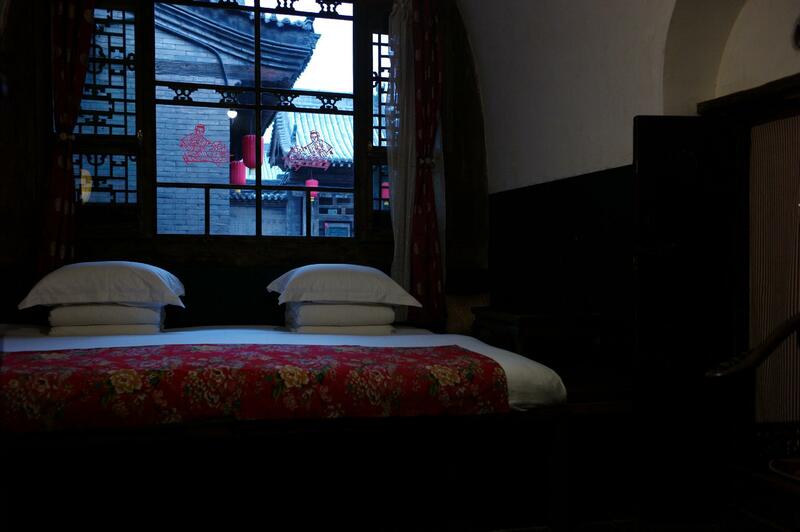 The room was extremely comfortable and beautifully furnished in the traditional Chinese style. Photos don't do it justice. Ample heating and hot water, excellent wifi connection. The location is fantastic as it is just off the main street (a 1 min walk). The hotel restaurant is also magnificent - we now regret not eating there. The staff were incredibly helpful - they allowed us to check in again (after we checked out early in the morning) when our train times were mixed up, and even called our hotel in Beijing to notify them of our travel changes. I highly recommend this beautiful hotel. Train arrived in wee hours of morning and had to wake up hotel owner at 5:30 a.m. Paid extra RMB100 for a double room as single room was still occupied and managed to catch a little snooze. The double room for my 1st night is much nicer as the single room for my 2nd night was double storied which meant scaling the steep steps for a pee at night. As solo traveller, I was much obliged that owner (Mrs Chen) was so kind as to link up with the regular travel company owner to charge me a much reduced rate for a ride to Qiao Family Courtyard House 40km away as the travel company owner was heading in that direction for a personal errand. That was mighty nice of Mrs Chen. Food at hotel's restaurant was delicious but a bit pricey for this small town. Pingyao is a lovely rustic city, and this hotel just adds up to it. The rooms and very simple yet very comfortable. The staff speaks one of the best English I heard in all china-standard. And the restaurant is very pleasant and has a delicious hot chocolate! Would definitely recommend (the hotel and the chocolate)! We booked based on the great ratings on agoda and trip adviser and were not disappointed. This is a traditional courtyard house in Pingyao and the rooms are small but full of character and surprisingly comfortable. Beds are on traditional brick bases but the mattresses end up being softer and more comfortable than most of the western style hotels we stayed in in China. They have a great restaurant for all meals and staff are very friendly, we were disappointed to leave and wished we'd planned another day there. a great 5 star hotel. Beautiful room, facilities and services. Location not so good for wandering at the end of the day. Limited dining options in the area. Renovated city walls and town will be worth visiting when finished and part of this is not so far from the hotel. Taxis to station not expensive and can do in 20 mins depending on the traffic. Staff very helpful with booking train tickets but procedures are not clearly explained and difficult for travellers i.e train booking requested 3 days ahead but only arrive within an hour of the departure and then only as handwritten notes. All was well though. After a tough day of travelling to pingyao the staff at the yide hotel turned our day around. The front desk staff were so accommodating allowing us to review which room we would prefer before settling in. We asked for food recommendations and the staff weren't lying when they said the hotel restaurant was delicious. It was amazing, tasty, fresh and cheap!! Having an early train out the staff showed us how to open the gate and access the hotel prior to opening. They arranged a private car pick up from the hotel straight to the train station. The rooms have a fantastic history and authentic feel to them. Couldn't recommend this place any higher - go visit!! I cannot recommend this hotel enough. It occupies a stunning old courtyard house on a side street in the old city. Just sitting in the courtyard with a cold beer was a joy. Rooms are simple but beautifully clean and comfortable. Staff could not have been more helpful and the restaurant was excellent both for breakfast and dinner. Everything is excellent. Pick us up a the railway station on time. Location is good, walking distance to most places of interest. Staff is polite, helpful and patient. The 300-year old property is well maintained. Room and toilet are clean. They upgraded us to a suite, probably because they knew it was my birthday and even gave me a complimentary birthday cake. It makes our stay a memorable one. The only regret was that we didn't really try the restaurant (highly recommended by other Travelers) because we hung out late on both nights and it closes at 10pm. A definite recommendation from us. A wonderful hotel, set in a stunning three-hundred year old courtyard home. The rooms are tastefully decorated with genuine antique furnishings and the hotel's bar/dining area is a huge timbered hall, candle-lit in the evenings, a real sight to behold. All staff were friendly, and the hotel was warm throughout, even during rather cold weather. Could not recommend this hotel more highly! Wonderful, classy and unique hotel inside the old town walls. Great location in quiet street off the busy tourist streets. Nicely restored with classic Chinese touch. Nice restaurant with wide selection of local dishes. Great, attentive and helpful staff. 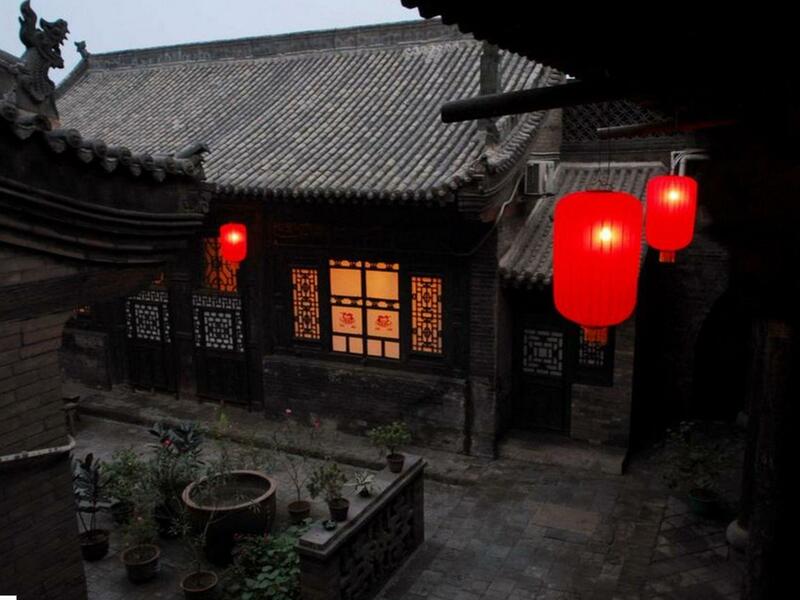 This charming & pleasant place to take a good break is situated in the heart of the well protectecd historical city of Pingyao classified by heritage world of the humanity. Staff of Yide is professional, speaks good English & cares of customers. I have really enjoyed the hotel had a great time in Pingyao. everything I found in this hotel was beyond my expectations (and actually I knew it was going to be a nice place). super nice staff and owners. the owners even took care of my gf when they were about to sleep. gave her medicines for free with a smile in their face, just awesome. room is really cozy. courtyards and restaurant are beautiful and extremely clean. so is the toilet next to the restaurant. even the driver who took us back to the train station was such a nice guy. I live in China and have to say that is really hard to find hotel experiences like this. It was lovely staying in Pingyao Yide Hotel. I called in 1 day before to arrange airport pickup. The staff was very helpful and the driver came waited for me promptly at the airport holding a paper with my name. The charge of this service is just the same as taking a taxi from the airport. So it was more than a reasonable price i have paid, and i don't need to worry over unable to communicate with local drivers. 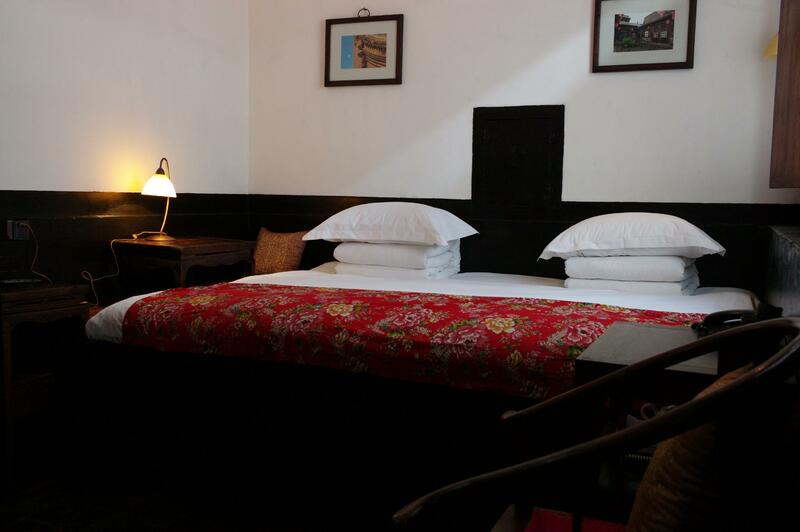 Yide hotel is a lovely heritage house converted into guest house. the staff took me for a short walk and explain to me how each room used function back in those old days. She finally took me into my room and it was very clean with authentic ancient chinese furniture and design. Our stay at this hotel was very nice. We (a couple) travelled with our 16 year old nephew. The 3 of us enjoyed it. It is in an old family mansion and it is beautifully decorated without being over-decorated. It looks authentic, and this is not often the case in China where things are over-decorated and look tacky. The food in the hotel is very good, diner and breakfast. The staff is extremely friendly and helpful. The hotel is a converted courtyard home. It is very atmospheric, close to the main east west street, close to restaurants and the staff was very helpful with information, day tours, arranging train tickets, translating and overall making my stay fun and productive. Highly recommended.